With vacation time looming, I have just been doing little things that don't take long. 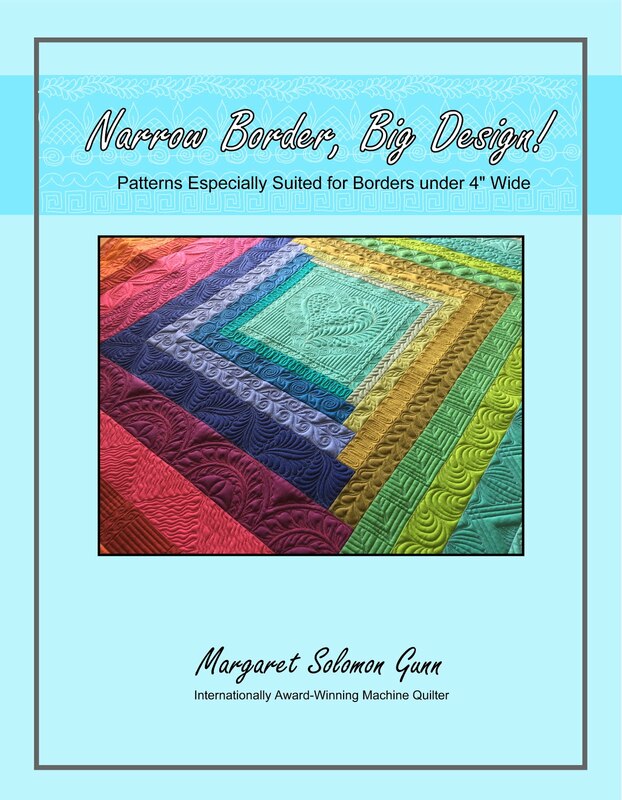 The kids and I nave been swimming and running errands, so time to concentrate on longarm quilting is just not right now. In mid-August, I will try to resume the mostly custom awaiting lineup, along with an ever-growing list of things I must make headway on, like a couple new classes for next year. I know all too well how time-consuming samples and class prep really is. As of yesterday, here is the stack of 9 hexie blocks that have received their zebra borders. The blocks are essentially appliqued onto 6 pieces of zebra print. It is pretty quick, maybe an hour per block. These blocks are now hexagons with sides about 7 to 7-1/2" per size. I played a little (on paper, hence the not-so-perfect fit) with what will come next. Somehow, someway, these need to convert to stars. Hexagons are nice, but the shape is too plain, and I don't love the negative space it leaves behind for quilting, if this makes sense. Here's one with black points, outlined in a color. Perhaps each block will have a different shade that coordinates with the block. Perhaps I will choose a couple colorways like bright greens and turquoises to give the blocks a settling/grounding effect. In my fickleness, I drew out another in reverse, thinking that the above one may be too dark. Star colors must be carefully selected to bring out the hexagon blocks. Afterall, they are the star of my show. It would clearly be a deeper rose color, and not Halloween black and orange. That's just not an attractive combination of colors to me. Of course, because I take forever getting blog posts written, I have finished another of these blocks...Here is #10. Eleven to go, I think! This is probably my one and only custom quilt of the summer. It's only about 40"x 60", but custom quilting with kids in the house (up and down the stars, in and out of the studio door, etc!) is too challenging. I'm not able to focus on the quilting as I want to. Never the less, this turned out beautifully, and I hope my client feels the same. It should be home to her in CA by the weekend. There is nothing I appreciate more than fantastic piecing and applique, and this is truly some of the best applique I have seen. Having appliqued little flowers like this on a quilt not so long ago, I appreciate how very well these are done. This quilt has a single layer of Quilters Dream wool batting. All appliques and seams (except a few because they were pressed open) were SID with Madiera Monolon clear thread. Never, never do I quilt a nice applique quilt and NOT ditch stitch. It just doesn't look quite as nice or finished. The quilting on the quilt other than the SID is either Glide or YLI polished poly -- 6 different colors. The sheen is just right on the gold-gilded fabrics. The client requested a gold metallic, but in all honestly, I hate working with metallic. It is just unpredictable. I think you can get a similar look with much greater ease with the gold shiny threads. She asked for the clam-shells, so there is a prominent panel of this pattern. I have also included a variety of other pretty patterns on the solid blocks that fit the theme. This whimsical butterfly is wonderful...but he needed antennae! Here's a couple looks at the backside...It is a gorgeous gilded gold fabric. This is the Henny Penny pattern. 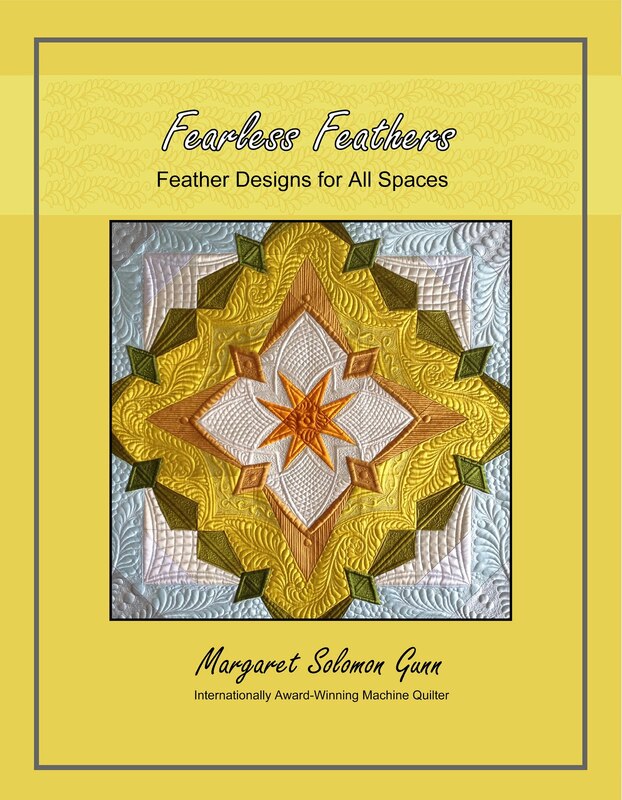 The fabrics in the piecing are very busy, and many designs would be completely lost. This floral design at least shows on the back side. This is a cool modern quilt. I love the Laura Gunn fabrics, but didn't want to compete with them with anything remotely floral. I pulled this pattern called Twilight just to give a fun background texture. ...another look. It is stitched with a gold YLI thread. This last one is lively. I am so stuck in the hexagon phase, that I love all variations of the hexies. Fabrics are bold and happy, modern and bright. I quilted with a white thread. The pantograph is called Flying Paisley. and a better look at the pattern from the back. I still have a stack of at least 3 of Erin's quilts that she wants to be custom quilted, but those are waiting for calmer days (aka September). The goals were simple...small, lots of secure zippered pockets and a cross-chest style of strap. I also wanted to show off the cute fabric somehow -- like not have 1/2 of the Eiffel tower on one side or the backside of the bag with the print upside-down. The entire process left me frustrated. This is partly because I never had more than 20 minutes at a time to think about it (aka "pick out my blasted mistakes"!). Zippers are not challenging for me, as they are for some people. I wasn't daunted by putting in 4 of them in...on not until the last one which was intended for the bag's zipper just WOULD NOT FIT PROPERLY! GRrrr.... I eventually ripped it out and put a conventional binding up there. In hindsight, I know that that zipper HAD to be put in first, but sheesh, it was just too late. There is a hidden zipper, with admittedly kind of sloppy stitching, under the flap. BTW, the flap was a total after thought when I couldn't get the zipper in. Fortunately, it mostly looks like it belongs (if you disregard the fact that I had to bind it in a different pale pink fabric on account of running out of the other one. I bought a magnet clasp, but am starting to get cold feet about installing it, as it requires putting a hole in the bag and flap. I am rethinking other possible ways of mounting the clasp to another piece of fabric, and attaching that to the bag. Permanent holes are just not my thing. The inside has two side pockets with zippers and open pockets for things like pencils and phones. I turns out that the bag took very little fabric, so I used some of the extra to make my daughter a much simpler version. Her's went together with very few issues, as projects should go. There is a zippy-pocket in the inside too, and the large pocket on the front so she could get an Eiffel tower scene too. She's all about that Eiffel tower. Here's the back... These handles are just commercial mesh strapping - a much easier alternative to the half-baked strap I made from the canvas for my bag, which needed double interfacing to have decent body. Summer always feels like such an unproductive time for me. I much prefer to have my To Do list and actually be accomplishing stuff. I have been finishing off a few E2E client quilts the past 3 weeks, but what I have done could have been done in 1 week at most if all was normal. 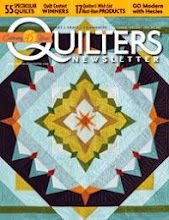 Now I am finding that clients are off on vacation and not able to pick up their quilts in a timely manner anyways. Oh well...at least they are done. I have a smaller custom I may load next week; time will tell. I have been making a couple of bags from some fun Paris-themed canvas that was purchased by mistake. I have ordered canvas a few times now, when I intended regular weight cotton. This is actually the first I am doing anything with it. I have a small bag for myself - with lots of zipper pockets. It's not too large, since I intend to carry it while we are abroad, and there is a pocket for passports, money, phone, maps, etc. Not sure if it will be done in time. It is really far from my best work since I get about 20 minutes at a time to work on it, and I didn't have a pattern. It is made by the pattern from the school of hard knocks. At least I do know how to install zippers since I have done 6 of them recently! I am also using this fabric to make my little mademoiselle a tote too. Little missy can't be too fashionable when visiting the Eiffel tower! Her's is much simpler and stands a better shot of getting completed, as it just needs the canvas handles added! I am still pushing onwards with my hexie blocks. I oversaw my niece quilting one day this week. I had a lot of sitting idle time as she stitched, so the outer border on my latest block is done. Today, I braved the bottle of tan dye and overdyed some black and white zebra print to taint the brightness some. My goal is to get it to match the creams in the blocks and in the silks that will be used for the quilt background. Yes, I am going that mixed silk-cotton route again on this quilt. It just looked too good the last time to resist. The layout for the blocks is still in the air though. I presently have 20 blocks done, and 4 more cut out. I am assuming I will make all of them, but maybe not. When they are framed with the zebra print, they will be big, close to 15". I am not sure I am up to quilting another monster-sized quilt. 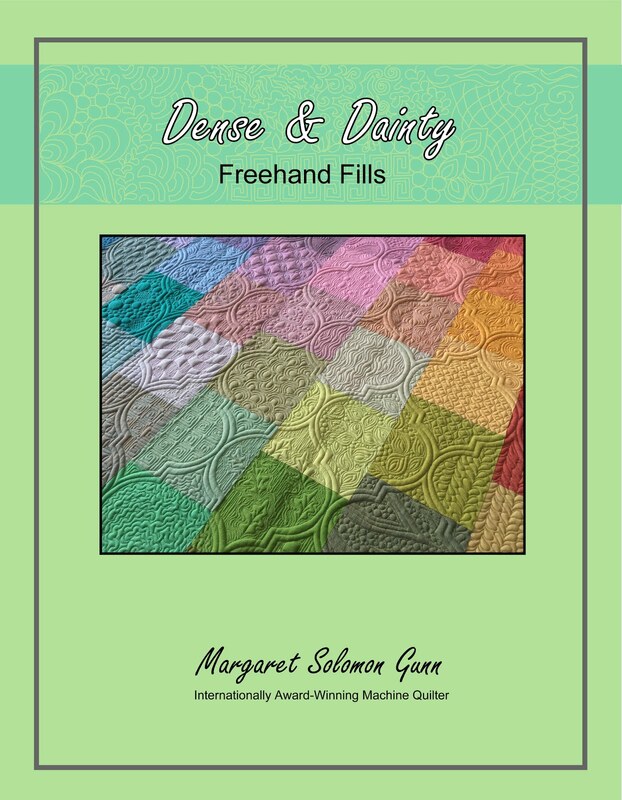 This layout seems boring, but I know that the silky background space will make the quilt. Note that I do not have the actual hexie blocks showing. I am very much drawn to the medallion settings, so I played with this too. 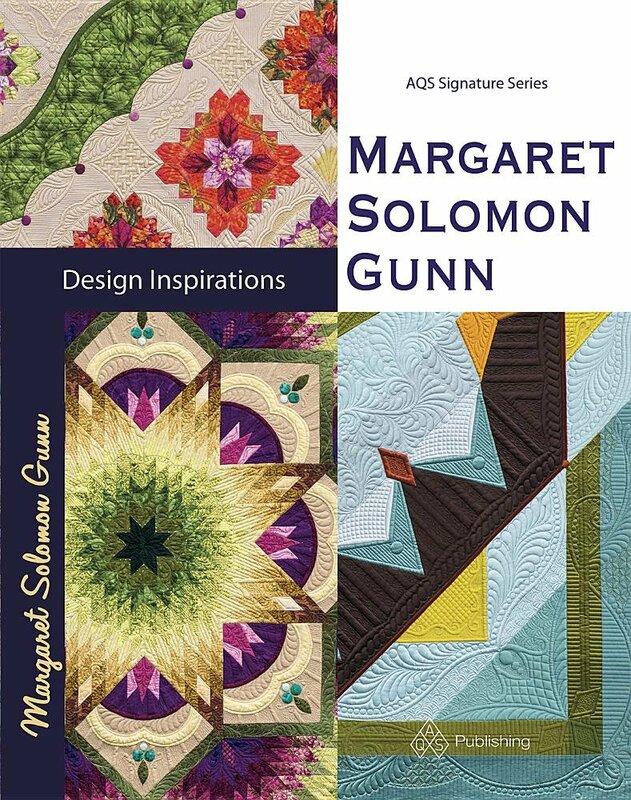 The obvious drawbacks are that I will only use 16 of the soon to be 24 blocks, and I am not really sure I want to design and quilt those huge blank triangles. It seems a bit daunting. And maybe boring (even with a tad of applique I am pondering). Last consideration is this layout. It uses most of the blocks that I like best (21 in all) and has a good amount of blank space as well. It still finishes about 80" square, but that's life. I think I like how the colors are dispersed, but may also ponder some simple applique for the outer border. There's a ton of piecing still to go to get the outer borders added to the hexie blocks. I am a long way off from having these blocks ready to applique onto the background! This is an ongoing project. Heck, for all I know it will be ongoing for several years. At this point, it is still interesting, but it really doesn't have much of an end in sight. My plan at present is a design that will probably need 24 of these larger (~12") blocks. Today I finished the 19th of them. I have the other 5 cut out. They are good take-along projects that I will probably have a stockpile of when I depart on vacation. While I am trying to use all the same color fabrics, and to also repeat prints on some blocks (and in different rings), it does get challenging. There are only so many repeats for cutting out the fussy-cut pseudo-identical hexagons. And...even when you get the block done, and just LOVE it, it may not be usable. That one with the orange outer ring may prove to be too deep in color to blend well enough. Time will tell how much more of the deep shades get brought in. These (above) are the new blocks from the last 2-4 weeks (or since I posted this project last). I am pondering doing the crazy, unthinkable...maybe add a row of tiny diamonds outside the block in this wild zebra print! I want to keep the modern appeal of the quilt. I first have to over-dye the print to make it black and cream, then do a test block. My wilder side thinks that the infusion of the black on this quilt will zing up the bolder prints a notch. 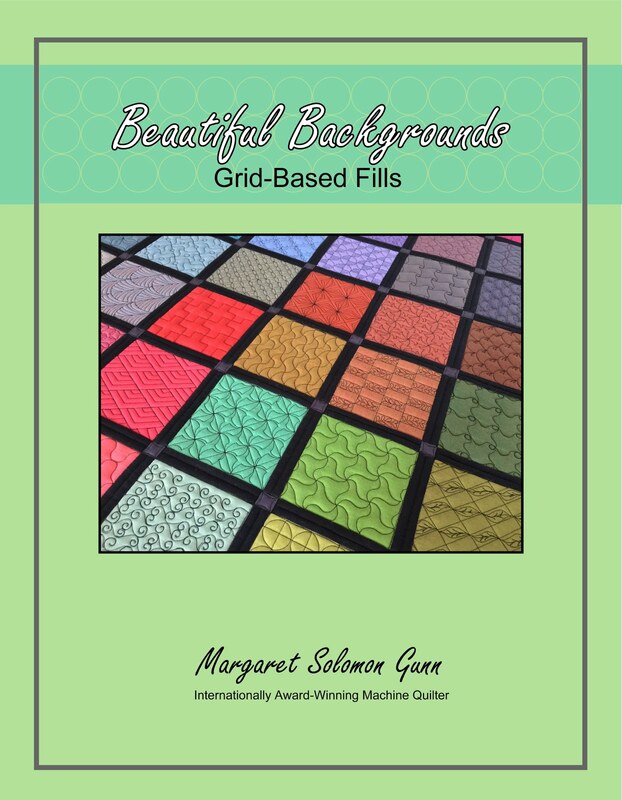 I love how the prints can be fussy-cut to create a lacy border on the hexagons. Traditional goes modern. The next part of the project, which I have spent a good bit of time pondering (because it WILL be here before I know it) is what to do for a layout. Generally, the hexie blocks are connected with more hexies. But, I personally am getting kind of sick of stitching hexagons!...I have sketched several possibilities from completely different (and requiring a ton more hexagons) to more basic. This is one of my EQ generated layouts. I like it, but really don't want my open space to be comprised of seam after seam after seam! 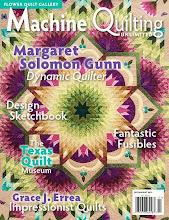 The quilting designs look nicer on a flat piece of fabric. None the less, it is a consideration. Even though these are non-traditional blocks in their fabrics, I am partly leaning to a more traditional and simpler layout. I like the idea of having nice quiltable neutral space, in a variety of neutral shades. I also would make up 25 small (one row) hexagon flowers to applique where the small pink "things" on this layout are. That is another way to help distribute the colors of the blocks everywhere. I got very nice comments on my NQA judging of Bouquet Royale and the use of silk with the cotton, so I may even consider using some silk for the background. It's not my favorite to applique to, but it does yield gorgeous quilting. Anybody know someone to hand-dye about 10 shades of beige?!? Oh well, time for me to get myself to yet another baseball game. Sigh...this time of year is exhausting!